Everything is pumpkin this time of year, and chances are you’ll end up with part of a can leftover. So why not use it to look even better with this pumpkin face mask? Between work and family life, I am ready for some serious self-care. One of my favorite fall smells are comforting wafts of pumpkin pie slipping out of a hot oven as it bakes getting ready to fulfill its delicious destiny. This cozy smelling, natural pumpkin face mask will leave you refreshed, and give your skin the bit of love it deserves. Self-care is so important. I think it’s something most of us forget to do as we get stuck in the rut of our daily routines. I find myself often too exhausted at the thought of doing anything else besides watching some reality TV, possibly with a drink in hand (though not lately), before I crash for the night. Does that ever happen to you? But by taking care of ourselves we can rejuvenate. We need to schedule time to make it happens. Warm bubble baths. Getting a hair cut. And doing DIY beauty treatments like this pumpkin face mask are great ways to relax and unwind. This mask contains ingredients that are beneficial to your skin. I encourage you to buy organic, to avoid putting any unnecessary chemicals onto your skin. It is your body’s biggest organ. If you just have conventional ingredients on hand or budget restrictions, use what you can. Chalked full of goodness, each of the mask’s five simple ingredient provides benefits to your skin. 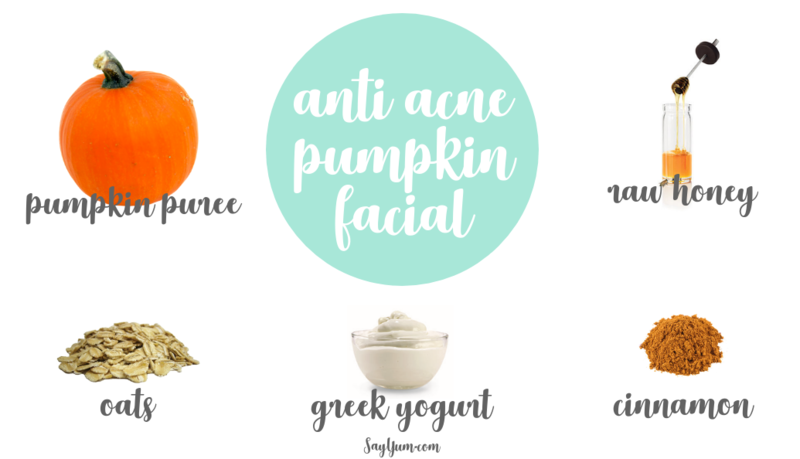 pumpkin: High in antioxidants including retinol (Vitamin A) – which helps reduce sun damage and signs of aging, Vitamin C and E, and salicylic acid – which helps remove dead skin cells and treats acne. cinnamon: Helps eliminate bacteria, and it smells great! raw honey: Holds in moisture, and also eliminates bacteria. yogurt: Moisturizes, another bacteria eliminator and the lactic acid helps tighten your pores. oatmeal: Contains natural cleansers (saponins) and moisturizes. 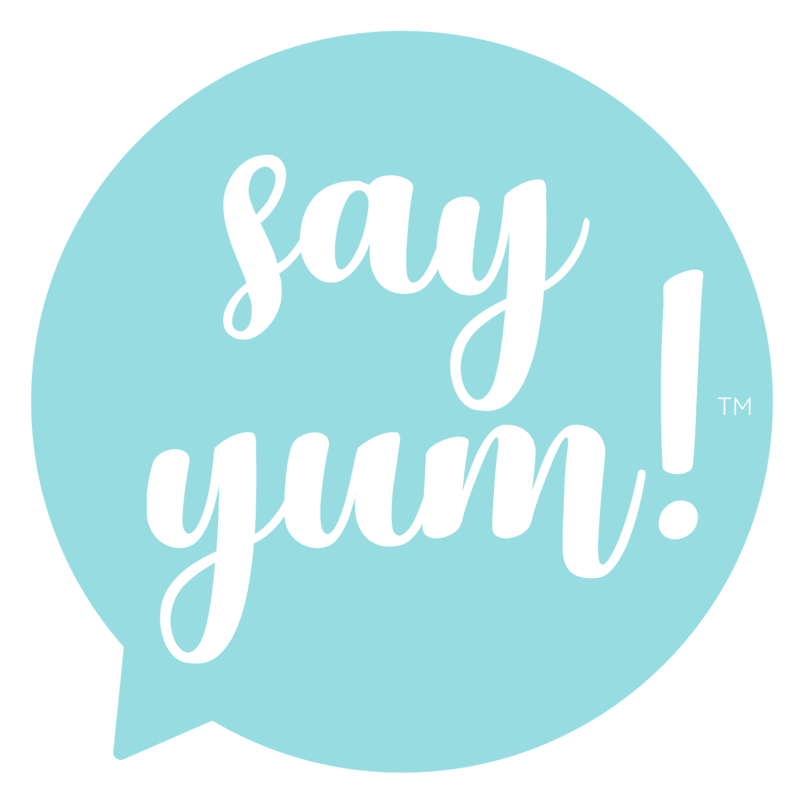 So after dinner one night, and your chores are done, make the time to whip up this simple and delicious homemade mask recipe that will make your skin say yum! Leftover canned pumpkin? 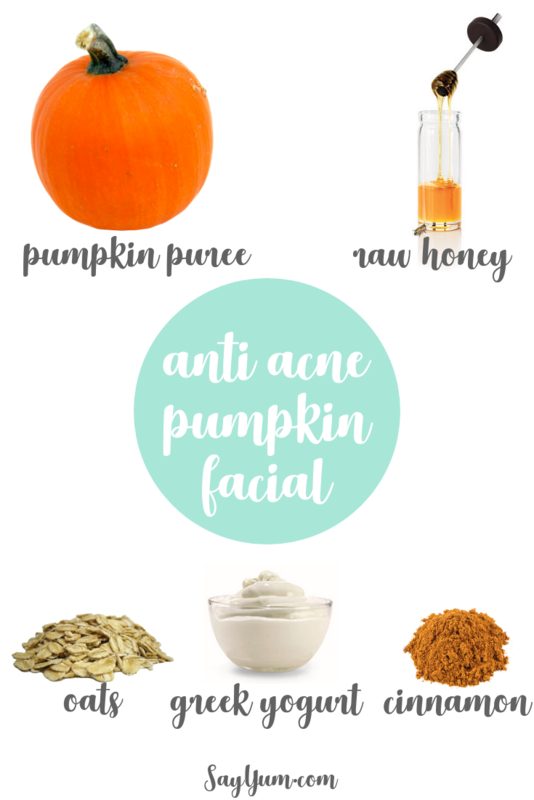 Use it for some needed self-care with this natural fall inspired beauty recipe for a pumpkin face mask that will leave your skin clearer, soft and refreshed. Full of vitamins and enzymes it's perfect for treating acne, brightening, exfoliating and moisturizing. After you have ground the oats, combine all ingredients in a bowl. Apply the mask gently using long strokes anywhere on your face or body. If you are applying to your body you can wrap yourself in a sheet or towel after you apply the mask. Find a nice place to relax for 10 minutes. If you experience any sensitivity to the mask, just rinse off immediately. Cinnamon can increase blood flow, and some people are more sensative. After the 10 minutes, rinse off mask in the bath or shower. Following the treatment, towel dry and moisturize skin. I recommend using coconut oil (preferably organic). Refrigerate any remaining mask tightly covered and use within 4 days.